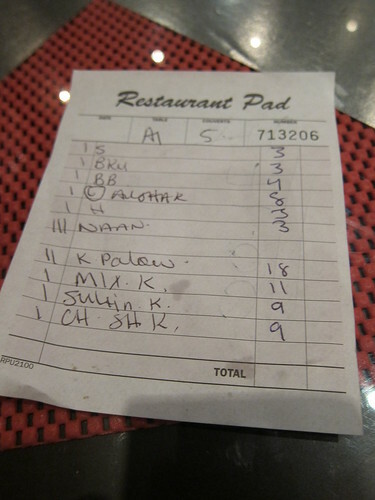 a rather unusual chinaman: Ariana II, What is Afghan food? 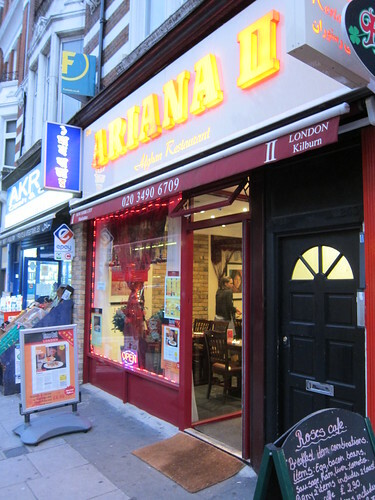 Ariana II, What is Afghan food? I think I've only properly visited Kilburn twice in my past. Once was to partake in the infamous Kilburn pub crawl when I was at university, and the other, last week when I was at Ariana II, an Afghan restaurant. 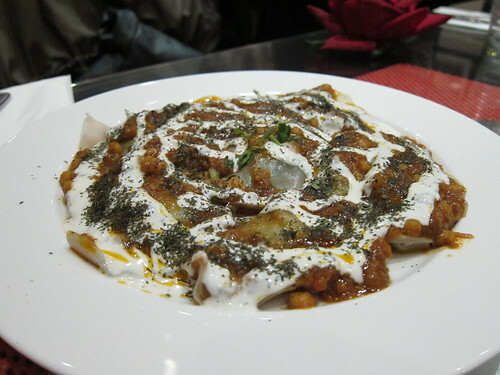 So what is Afghan cuisine you might ask? "That would be a good question." I would reply. The truth is, I hadn't a clue. My initial guess was something rice and stew based, but a little research showed grilled meats also featuring heavily, with a much more middle eastern tilt. Either way, my curiosity was piqued, and when it was suggested we gave it a go, I got myself ready to wander back down to Kilburn once again. Ariana II itself has a lovely neighbourhood restaurant feeling to it. The service is friendly and very informal, our waitress spent much of her time chatting with the Italian members of our party about the Italian she learnt on a recent trip. I actually found it rather charming. The menu read as expected, heavily meat focused. Ordering a selection of mezze to share, we swiftly descended on the dishes as they arrived like hungry locusts. Lamb samosas were simple and rather good doused in the accompanying chilli sauce, whereas the speciality dumplings were an interesting combo of lamb, leek, yoghurt and chickpeas. Less successful were the slightly dull aubergines, which were left till last. As each plate emptied, we ripped the excellent naan bread to shreds and mopped up the sauce. 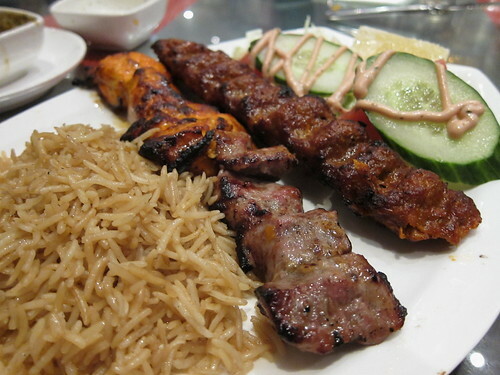 I was in a wildly carniverous mood and opted for the mixed grill of lamb shish, chicken tikka and lamb kofte. Each mouthful of meat was tender and subtly spiced. The kofte wasn't everyone's favourite, but I really enjoyed it. It was less seasoned than I would expect, yet was succulent with subtle lamby flavours. Off the specials menu, we had a Kabuli palow which was a mound of rice studded with pistachios, carrots and sultanas disguising a mountain of lamb shank. Again the meat was extremely tender that it just fell off the bone, although ended up lacking a bit in flavour. Special mention has to go to the frankly stunning chilli sauce which I scooped on everything and reminded me of a very hot chimmichurri. With no room for desserts, we hoovered up the dregs of BYO wine and settled the frankly paltry bill. £71 split between five people just made me feel like we were cheating the place somewhat. I was glad I went and enjoyed everything I had eaten, and at least can now answer with confidence that Afghan food lies somewhere between Middle Eastern and Northern Indian. A bit like Afghanistan itself. It looks delicious (except that strange sauce on the cucumber...) that rice dish sounds especially good. LOVE the sound of Kabuli palow (which I guess is pretty much the sale as pilaf, just different spelling). Those big piles of rice stuffed with tender lamb definitely seems to be a speciality of the area as I've read about them being part of Persian and Afghan cooking, as well as Northern Indian (which was heavily influenced by Afghan cooking after the Mughals conquered N India). I'll keep an eye out for this if I find myself in Kilburn, otherwise I'll get my hit in Islington at Afghan Kitchen. Oh brilliant - saw the review in TimeOut and have been meaning to try it. I just don't understand one thing...is it really the second branch of a restaurant where the first is in NYC? Seems odd, no?